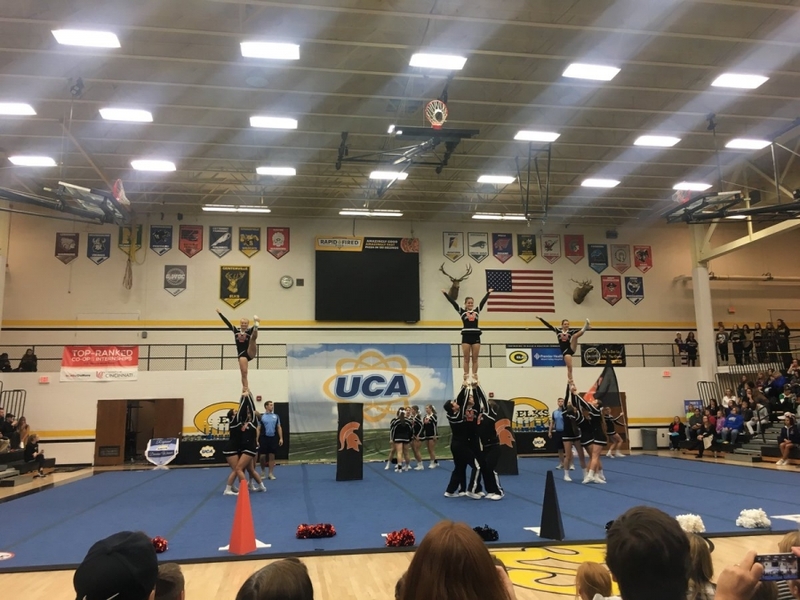 Congratulations to our HS Cheerleading Team Who Earned 1st Place! 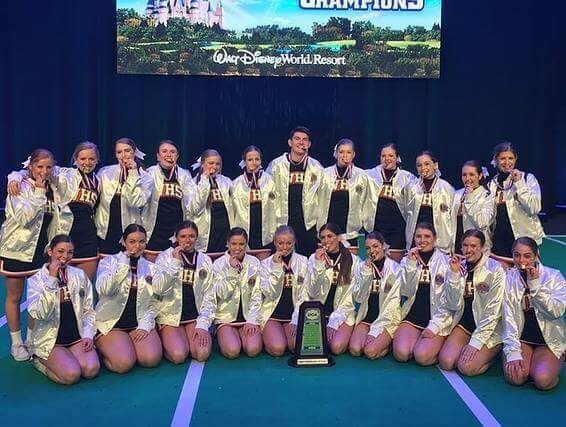 Congratulations to Waynesville High School Cheerleading Team who took First Place at the National Competition in Orlando, FL last weekend. They squad earned the 1st place trophy in the category of Game Day Cheer. Their flight is scheduled to land in Columbus around 7-7:30pm with hopes to return to town around 9pm. We will be providing small refreshments in the HS lobby for those in attendance the squad when they return. The plan is to organize in the HS lobby around 8:45pm. Watch the twitter feed @waynesvilleAth for Spartan Athletics updates on their actual arrival time. Please join us in welcoming home the competition cheerleading team from their national championship in Florida. Thank you! 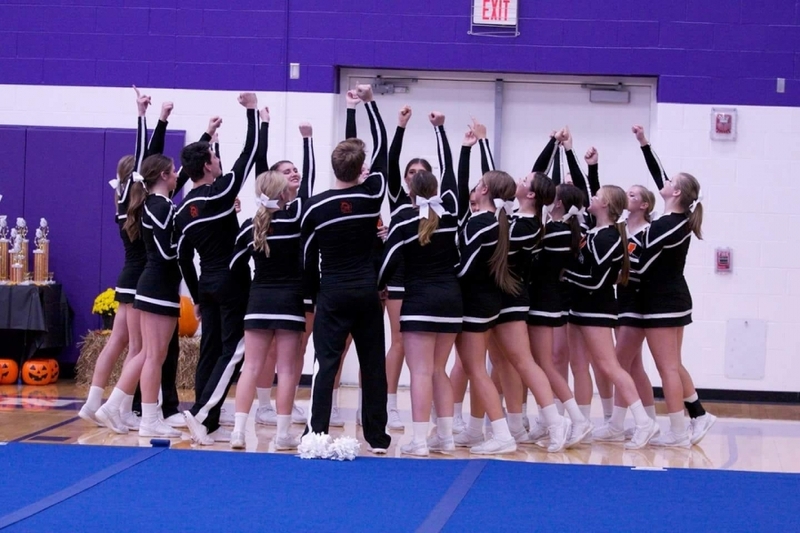 On Monday, FEBRUARY 5th, the high school cheerleading team will be hosting a Community Send-Off Performance in the elementary gym at 7:30pm. 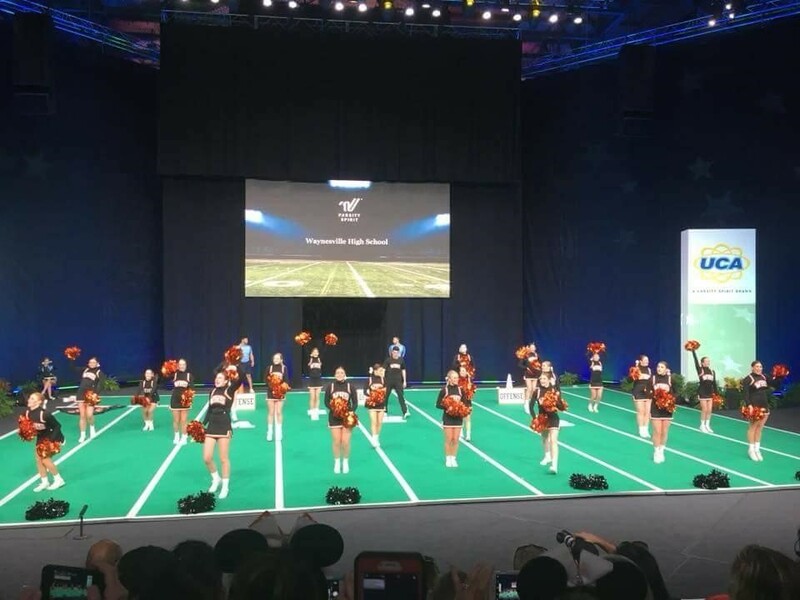 The team is headed to National Competition in Florida and this is an opportunity for everyone in the community to come and see what they have been working so hard on and will be competing with in Florida. Plus, we can cheer them on as they take on this challenge. 7:30 in the Elementary Gym !!!! This incredible team competing at Springboro tomorrow! Come out and show some Spartan Spirit for the best spirit squad around! Game Day routine at 11:45. Stunting routine at 1:45. Both ground bound routines sandwiched in between!